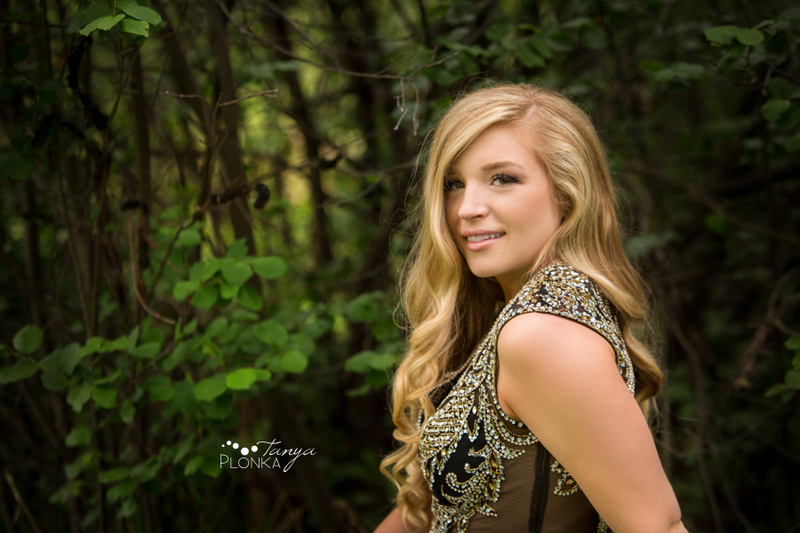 This graduation season I was thrilled to work with Hailey for her Lethbridge high school grad photos. 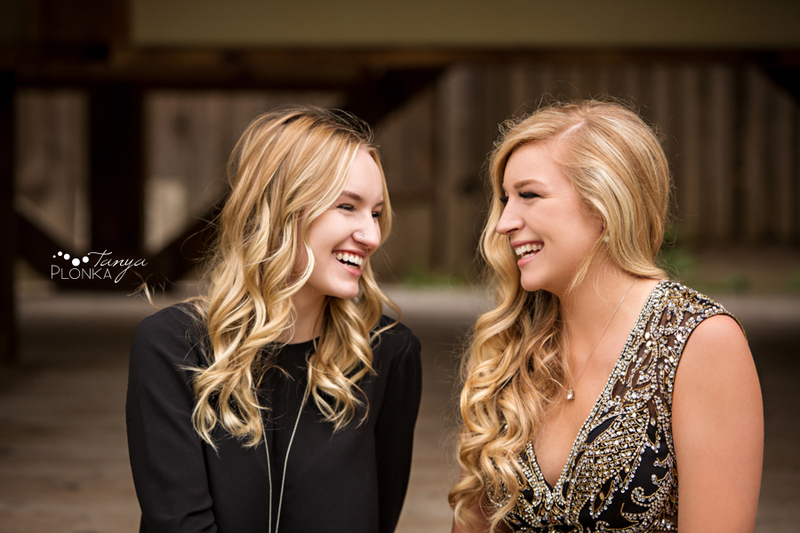 From our brief time taking photos, she gave off such an air of maturity and kindness. She is beautiful both inside and out! The rain from the day before and threat of even more rain that day made for fantastic photos in Indian Battle Park. The colors became so deep and rich, really making Hailey’s dress pop out. Hailey wore a stunning black and gold floor length dress with sheer lace accents, and the gold perfectly complemented her long blonde hair. 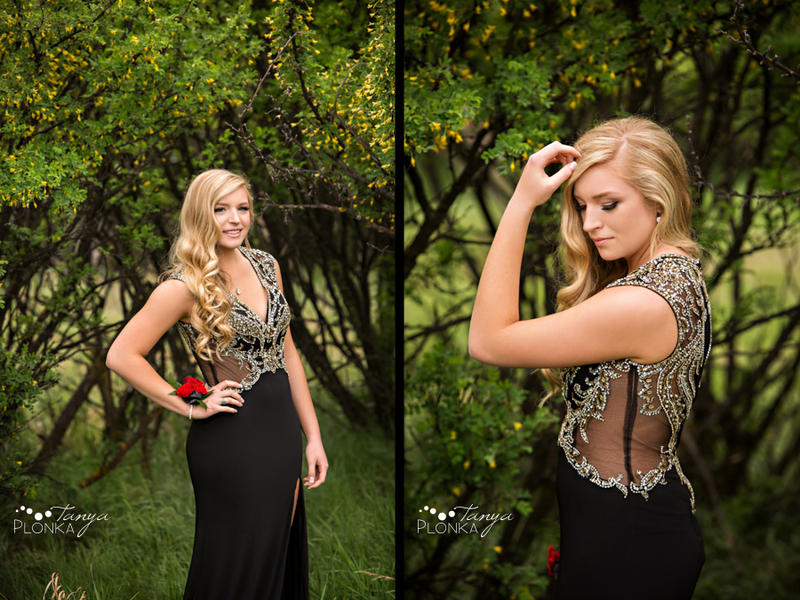 She rocked that dress! 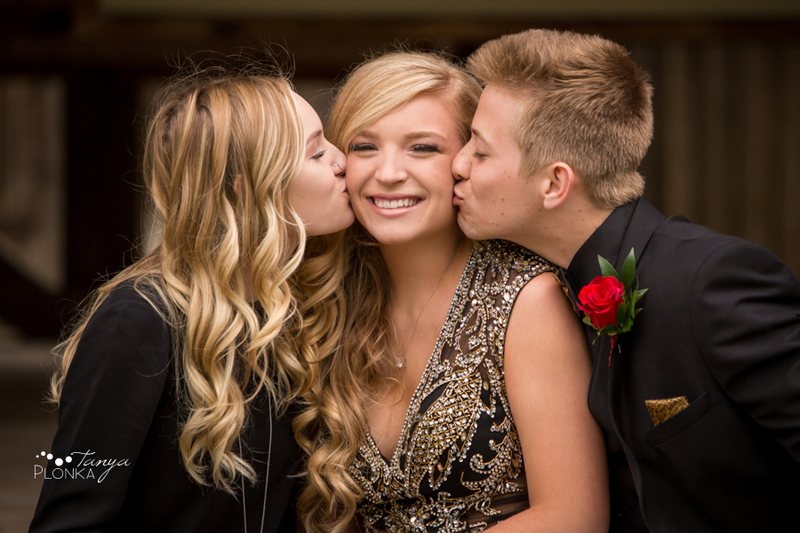 Hailey brought along her cousin and her boyfriend for her photos so we had to show off how much these two adore her! The red flowers were such a great pop of colour against the black and gold clothing.